Planet Hell: Now Playing - "Lurker of the toilets"
I keep putting this off, either I forget or I am being too lazy...anyway, the list of games is growing that I need to talk about, as this post will be about the games that I've not only been playing this week, but over the past few weeks, as I've been MIA from these posts for a while now. 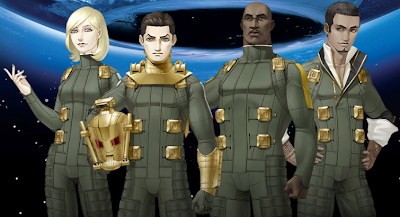 I bought Shin Megami Tensei: Strange Journey (DS) ages ago, before I started uni in September I think, and I've been playing it on and off since then, but I finally finished it the other day! I really enjoyed it towards the end when I started really concentrating on it for a week or two. So a little about the game in case you are wondering what in the hell I spent so much time on the game doing, or in case you are still considering buying the game but are on the fence about it. It plays like a dungeon crawler type thing, with you exploring the various levels of the Schwarzwelt first person. You get into random, turn based encounters with enemies and can Fight them or Talk with them, entering brief conversations where you answer questions and can get money, items or the demon's alliance, after which you can use it as a member on your team. Pretty much the same system as some of the other Shin Megami Tensei games, with some differences. Once you get used to it, its quite manageable. I bought a 3DS and Super Monkey Ball 3D (3DS) at launch, and as my first experience of the 3DS, I was quite impressed by how well it works. Saying that, I was actually getting slightly strained eyes and a bit of a headache when I was playing it. I'm not sure if that was just a coincidence though or maybe I figured out a good level for the 3D slider, because I haven't really been getting any problems since then. Although, I am a bit dissapointed by the lack of 3DS games that came out at launch here. I figured this would be a sleeper hit, or be a bit overlooked. Turns out it didn't really sell as much as the other games, but it isn't quite as good as I remember Monkey Ball to be. The difficulty has been eased up on, perhaps to give all the kids introduced to Nintendo by the Wii and DS revolution a chance. It didn't take me too long to get through the main 'story.' I've not played the Monkey Fight (other than on multiplayer) or Monkey Race modes and I might go back to them at some point. I'm really ambivalent about the 3DS and this game, so I might trade it in and wait for Ocarina of Time. I also want the big Disgaea 4 edition, which will cost me a lot to import though. In fact, I even thought about selling the 3DS around launch time... Hopefully things will improve on Nintendo's newest console. There are plenty of good announced games though, like Kingdom Hearts, Final Fantasy, Cave Story, Bit Trip Saga, SMT games etc.. I downloaded and played a fair few different Ipod games, including Chaos Rings (Ipod), Nyan Cat, Plants vs Zombies (well, more watched my girlfriend play it, and was a bit of a backseat gamer, sorry! :P), Tiny Wings, Age of Zombies Lite, Dino Rush, Imaginary Range and Cut the Rope. I played little bits of those ones, Chaos Rings is cool apart from the puzzles-those are why I put it down, I actually couldn't get past one of the puzzles which they really don't give you any tips or really explain them at all...Nyan Cat is cool but I got the free version and I don't really think there is as much in it as the real version. Not too sure if I'll pick up the full one. Tiny Wings was apparantely as addictive as Angry Birds, but for me, it doesn't have as much variety, so I can see it getting old a lot quicker than other games. Its more for the Doodle Jump/Mega Jump obsessed crowds who like to improve on high scores. Cut the Rope is brilliant though, I found myself trying to get 3* in all the levels I had unlocked. Pretty nice idea for a puzzler game. 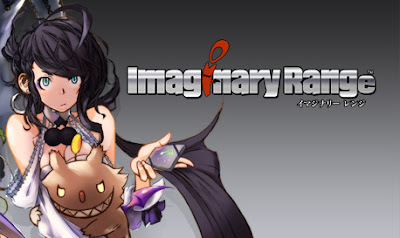 Imaginary Range is really interesting. Its from Square Enix and one of the more unique games I've seen on the App store. Its half comic, half game with some really interesting art style. Best of all, it is free! So pick that up! Its rare to see reasonably priced Square Enix games on the App Store, so I don't see why this one is free. Here and there, I played bits of Neverwinter Nights (PC) and Diablo II (PC), bringing back the old school WRPGs :D I'm still struggling in Neverwinter Nights, that game is damn hard to get used to. I started up a game with a Wizard using a range weapon, and I'm using what I think is the best way to play them, summon lots of guys, have a familiar and a follower to stop enemies from getting to me. Attacks of opportunity are really overpowered it seems... I actually made some progress though, I got the first of the monsters at the start killed. Diablo II is as awesome as always :D I'm in Act III with my elemental Druid, absolutely pwning everything that comes my way. Usually the council gives me some problems, this time they barely got any attacks in. I am kind of worried that when I get to Act IV though, when the bosses start becoming more resistant to Elements, I will have some difficulty... Might play some more bits and bobs of either slowly. Its quite a short game, I finished it in 2 sittings over around 6 or 7 hours, which is around the right length I figure. Its a short, fun campaign with a rather bizarre story. Even the opening couple hours didn't make it any clearer to me. But then again, fans of shooters aren't always looking for the story to be the main strong point. Its worth a look if you see it cheaply. Definitely not as good as Bayonetta, but pretty good overall. I also played all the way through Nier (360) after hearing ridiculously good praise in places and very average and poor reviews in other (more mainstream it could be said) places. So my thoughts in a nutshell? Average. However, there are plenty of brilliant moments in the game, the music shines all the way through, and some of the story moments are very well written and rather emotional in places. The core gameplay is rather MMO-ish crossed with some Devil May Cry type hack and slash combat (that gets very repetitive and old in my opinion.) However, the creators of the game werent pleased with leaving at that, they included lots of other little influences and references, which is quite amusing at times, even if they weren't done too well in places. You've got dungeons and sections of the game which are based on other games, such as the overhead(ish) Diablo dungeon, a Resident Evil style fixed camera dungeon and a visual novel style section where you go into a really well written dream world. Throw in some bullet hell type enemies and some 2D platforming and you've got a rather weird combination, which is pretty fun at times. As much as it looks like I'm panning it, I did enjoy parts of the game. It even made me cry in one place. Its a short game, but to me it did drag a bit, and by the end, I just wanted to finish it... Still, I rated it 3/5. It has enough good points to balance out the bad ones. I started up a game on Ys: The Oath in Felghana (PSP) after finishing Nier. Its very fast paced and the controls, particularly air control, took me a while to get used to. It frustrates me how you can't actually heal unless you are at a Save point though...It took me ages to realise I could abuse the Double Boost system to get health back when I'm really low, as I was nearly getting stuck in some dungeons by nasty enemies and not having enough health. The warp function is very useful actually, it speeds up the game even more. So far though, I'm not really enjoying it as much as I did Ys Seven (PSP.) Its probably a combination of graphics (this one doesn't have very good graphics) and characters. Adol is dumb, as are most of the others. Although the game does have a pretty good script and soundtrack, I must admit. And once you get used to things, the gameplay is pretty solid, fun and fastpaced. I FINALLY FINISHED Monster Hunter Freedom Unite (PSP)! After playing it on and off for a good few months now, especially when I was at uni, because we could do coop, I am now finished the single player quests (not all of them, but the ones I needed to do). It took me absolutely ages, around 300 hrs to get to this point. I'm also really near G-Rank in the multiplayer Guild hall. In fact, I was so caught up in the Monster Hunter thing at some points, that I went looking for MH clones, and it seems I got the wrong one...I got Lord of Arcana at launch, as Square Enix brought out a rather nice special edition for it. I should have got Gods Eater Burst instead, as I've heard its a lot better. Its become pretty rare already here...Another one I was really considering was the first Phantasy Star Portable on the PSP, as I don't know anything about the games and it was a fiver. So I figured if I tried it and didn't like it, I wouldn't have shelled out the more or less full price that the 2nd Phantasy Star Portable was priced at. I didn't get it though, so I'll see if its still there next time I go through to Glasgow.